(Above Left-Right) CC-115 Buffalo, CC-138 Twin Otter, CC-130 Hercules (DND Combat Camera Photo) Above we have the Existing Fixed Wing SAR Fleet. The Buffalo and Twin Otter are both DeHavilland Canada Designs, and the C130 is built by Lockheed. 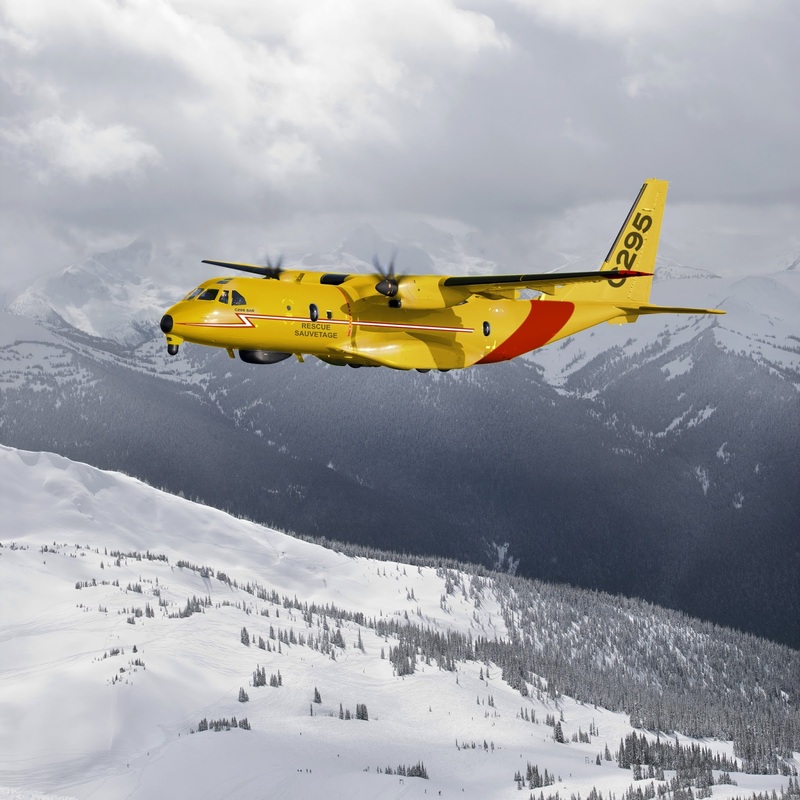 The RCAF currently designates 13 CC130H Hercules and six CC115 Buffalo aircraft for FWSAR response. The Hercules operate from CFBs Greenwood, Trenton, and Winnipeg, while the Buffalos are all based at CFB Comox. Of these, the six Buffalos and the Hercules at Greenwood and Trenton are dedicated to SAR. The Buffalos have been in service since the 1960s, while many of the Hercules date from the1970s, and all are now approaching the end of their effective service lives. 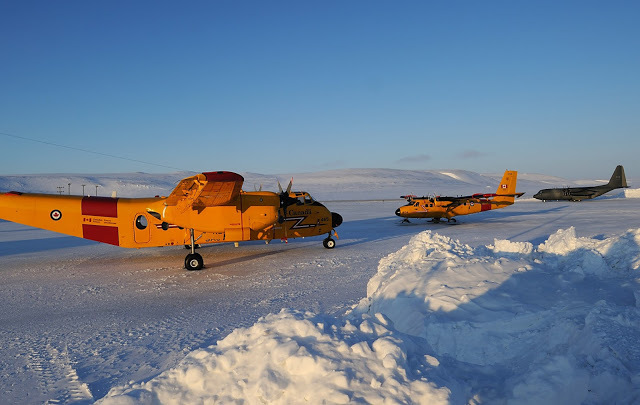 The RCAF Twin Otters are currently based in Yellowknife. 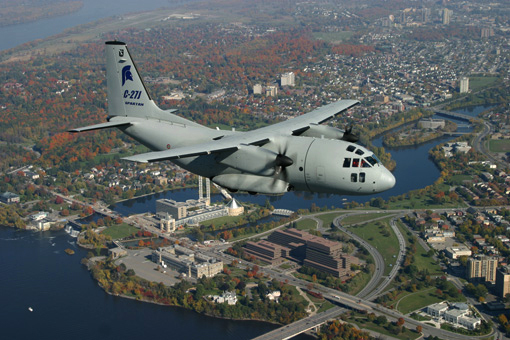 its worth noting that canada currently has two Models of C130 – H and J. the J models are current and are used for transport. the Older H models are dedicated to SAR. The above Photo shows a Swedish plane, prior to delivery, still with Canadian Registration. 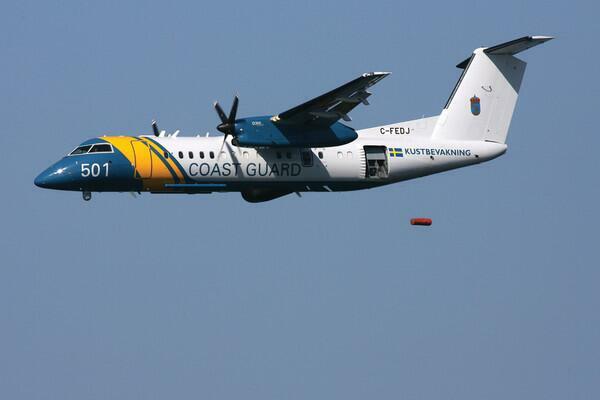 The Smaller Sister of the C295 is currently in use with the US Coast Guard for FWSAR. it is seen as an excellent compliment to the C130, for medium range missions, with an 8 hour flight time. The C295 is slightly larger, but has all the same basic features. The aircraft is in use in role by a close ally, with great success. Interestingly, the US Airforce wants to shed itself of its C-27J, and they may go to the USCG as hand me downs for SAR conversions..
Viewed from the onset as the favorite by DND, This Italian aircraft began as the Fiat g.222 and was updated in partnership with Lockheed. One benefit is that the C-27J is in many ways compatible with a C130. It is the Fastest, and has the longest range, but it is also the heaviest, limiting use on northern airstrips, and features poor low speed performance. It should be noted that the Italians don’t use the aircraft for FWSAR, Favoring much smaller aircraft, and leaning towards a variant of the ATR-42 commuter plane, a contemporary of the Q400. Viking Air Purchased the type certificates for All Dehavilland Canada Aircraft except the Dash-8. The DHC-5NG is a proposed new production run of the Same aircraft to be replaced. the aircraft would be outfitted with modern systems and electronics, however the airframe would remain the same. Viking recently re-launched Twin Otter Production, with a modernized airframe and has had good success with it. The Buffalo is certainly suited to the Job – It performs it currently, and the aircraft is light, and has good slow speed performance. Its not pressurized however, so Altitude is Limited. This entry was posted in Aviation, Uncategorized and tagged FWSAR, RCAF on August 7, 2013 by Peter. The DHC-5NG would be the best option in my opinion. Being a homegrown solution and compatible with the existing logistics chain, it's also extremely versatile for deployment in off-strip and remote locales. The altitude restriction for FWSAR is a moot point as you're not searching for ground targets at above 10,000' anyways. Provided Viking replaces the Allison engines with newer and more efficient say Pratt&Whitney PW100s like on the Q400, it would be the shot in the arm the Buffalo needs.